These two widowed women, and more than 100 others, received life-changing gifts through a special program held in their honor. One hundred and ten women gathered together, invited by the local GFA-supported pastor and workers. Some were young; some were old. Some were Christians; others were not. Some had young children; others were bereft. Each one was a widow. Each one was loved. 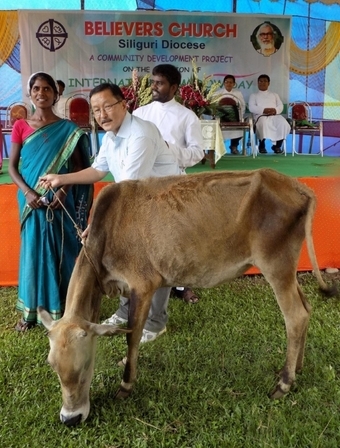 It was June 23, International Widows’ Day, and this church—along with countless others across Asia—planned to do something to honor them. Some widows received goats. Others, cows. Some were given tin sheets to help build better homes. Others received sewing machines. Each one was blessed. Each one was helped. In many areas of Asia, widowhood brings with it a terrible stigma. Widows, blamed for the deaths of their husbands, are frequently abandoned, mistreated and even exploited—sometimes by the ones who should care for them most. But God hears the cry of the widow, and He has enabled us to minister to many such needy women. Malvika gratefully received a sewing machine. 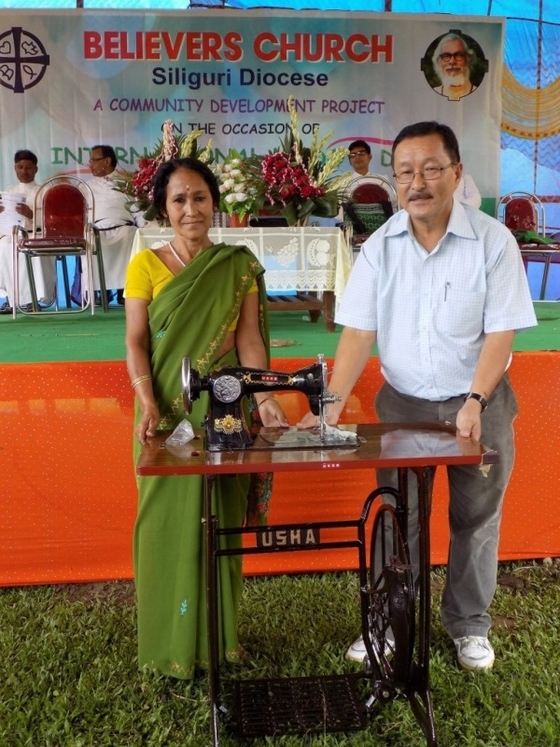 “This sewing machine will become a great blessing for the survival of my family,” she said. Bindu received tin sheets. “This is given by my loving Lord,” she shared. Thank you for standing with us to share that great love.